Moses and Ramses live in the house of Pharaoh, and they are raised as cousins, but are as close as brothers. Pharaoh has confided in Moses that he trusts him more than he trusts Ramses, but that because Ramses is his son, Ramses rather than Moses will succeed him as Pharaoh. Unbeknownst to everyone, Moses is a Hebrew. About 20 years ago, Pharaoh had decreed that all Hebrew infant males should be killed. Moses’ family saved him by hiding him in a river, and he was drawn out by a member of Pharaoh’s household. Now, Moses is in a position of authority in Egypt. He visits a worksite where Hebrews are being used as slaves, and is appalled at their treatment and the luxurious lifestyle of their Egyptian overlord. A Hebrew elder shares with Moses the story of his birth and adoption. Moses angrily refuses it at first, but begins to accept it. The story was overheard by spies who share the truth of Moses’ Hebrew lineage with the Egyptian overlord, Hegep. 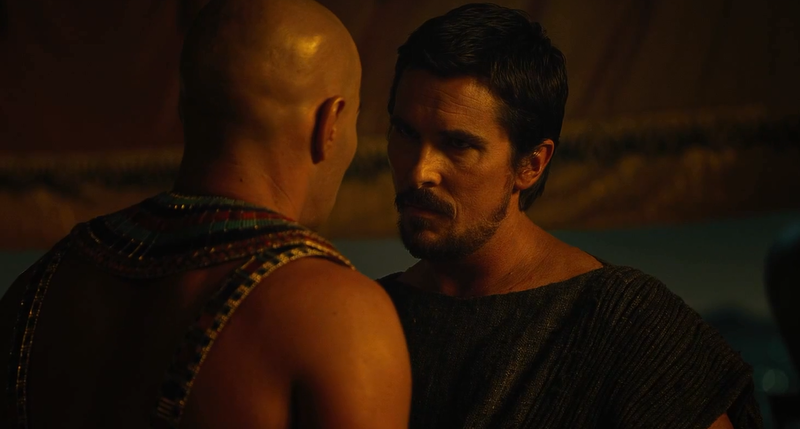 Hegep tells Ramses, who exiles Moses. A decade or so later, Moses believes that God has ordered him to return to Egypt to free the Hebrews. 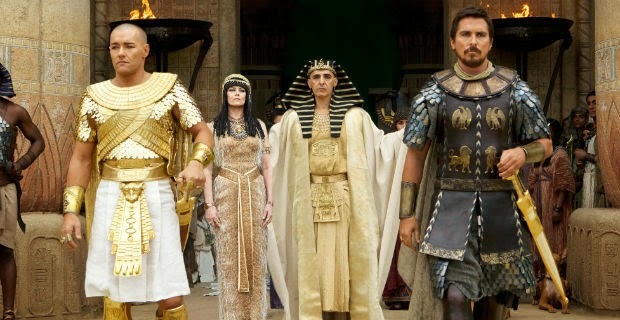 Aided by a series of plagues, Moses is able to lead the Hebrews out of Egypt, but then Ramses gives chase. The film sticks close enough to the Biblical narrative to be predictable to anyone familiar with the story. Moses was more or less adopted into Pharaoh’s family. Or put another way, Moses was adopted into the family that was actively enslaving, abusing and oppressing his entire birth culture, and, in fact, his adoptive family would have wanted him dead had they understood who he was when they found him. Years later, Moses returns to free his birth family and their entire community, but to do so, he must fight, terrorize, run from, and risk the death of one who had been like a brother to him. When Moses does discover his history, he meets his birth mother. She gives him the remains of his umbilical cord, and he keeps it wrapped around his thumb from then on. She calls Moses by his birth name. He learns that a woman he has known his whole life is actually his birth sister. He later meets his birth brother. Moses’ interest in his birth family develops a few years after he becomes a parent. This might mirror a similar development in the lives of some adult adoptees. From one point of view, Moses eventually identifies with and embraces his birth family. Moses leaves his son and wife behind, for what seems like a very long time, in order to work on behalf of his people. The plagues which lead to the Hebrews’ freedom are hard to watch. Some viewers who have lost children to death or adoption might be particularly stricken by the grief shown by the Egyptians when the final plague results in the instantaneous, simultaneous death of every Egyptian firstborn. We see one character cradling the limp (and later mummified) body of his very young son. To embrace his birth family, Moses must ultimately reject his adoptive family. It makes sense within the context of the story, but it’s not a helpful or healthy equation for adoptees in today’s world. When Ramses discovers that Moses is a Hebrew, adopted into the family, he has him locked in jail. To find this out, he had threatened to cut off the arm of Moses’ birth sister. Ramses is jealous of Moses because of a prophecy that suggested that Moses would take Ramses’ place of leadership. He eventually places a bounty on Moses’ head, saying “I want him dead, and his family as well.” He even publicly hangs people for refusing to turn over Moses. 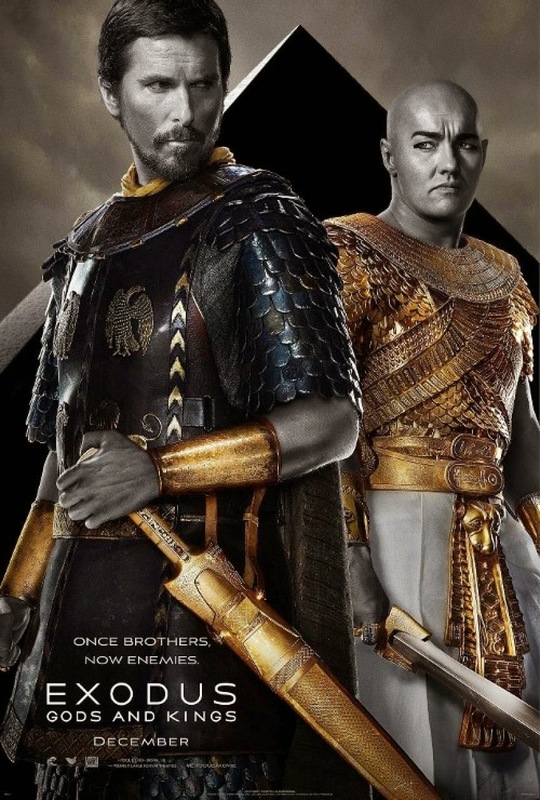 Exodus: Gods and Kings is an epic movie retelling an epic story. A half-million people leaving, on foot, together, while fleeing from a pursuing army. The action scenes are decent; they feel similar to Lord of the Rings, but not quite as well done. I don’t think this film will appeal to kids or to teens. From an adoption perspective, I appreciate the value of Moses reconnecting with his birth family, but I find the movie generally unhelpful; too often, adoptees in movies are required to choose one family over the other (Meet the Robinsons, Superman: The Movie are two examples, click for more). That’s already pretty unfortunate. It’s even worse when your two families want the other side dead. 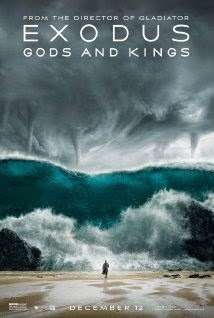 Exodus: Gods and Kings probably isn't a good choice for most families dealing with adoption issues. How did the secrecy surrounding his history help Moses? How did it hurt him? How do those explanations relate to people’s reasons today for secrecy or openness in adoption? The film leaves it open to interpretation, whether Moses was hearing God or hallucinating. What do you think? Is it possible for someone to embrace both their birth family and their adoptive family? Good points written on your review of this movie. I have not seen it yet, but this time, after reading your honest thoughts about the movie, I will give this a try. Thanks John. I'd be curious to know what you think of it!